I am reading a lot about this with OP and am curious. are they that good and better than stock? what ROM do you recommend ? I prefer good camera at least as same level as OOS and no camera errors. If there is any built in app lock feature just like OOS thats even better. Yes, there are tons of ROMs out there that are better than stock! Two of the biggest issues with the OP3 stock ROM is delayed security patches and the notification slider vibration issue (you can't use vol-dn to put your phone into vibrate mode if it's in Priority Mode), and for me, this is reason enough to recommend custom ROMs over stock. Of course, it's not for everyone as you'll have to be comfortable unlocking your bootloader and flashing a custom recovery etc. I prefer LineageOS as that's the ROM I use across all my other devices as well, and it's very stable, consistent and developed in a professional and transparent manner, with a focus on security and privacy. It's also arguably the most popular ROM for the OP3. The camera quality though is slightly below OOS, although the camera itself is stable. Personally, I feel the quality is good enough for my needs - here's a photo I took of Cape Palliser recently on LineageOS. But if you want equivalent or even better camera quality, check out Paranoid Android or Sultan's LineageOS build, people claim that their quality is even better than stock. I'm not sure what you mean by app lock feature - are you referring to the padlock icon in the recents menu that helps keep the app in memory? If so, that is present in all the main custom ROMs. Or if you mean like a vault to password protect apps, then yes it's present in LineageOS and it's derivatives (Settings > Privacy > Protected Apps). Speaking of which, the Privacy Guard is a very powerful feature of LineageOS, with which you can control the exact permissions used by an app. 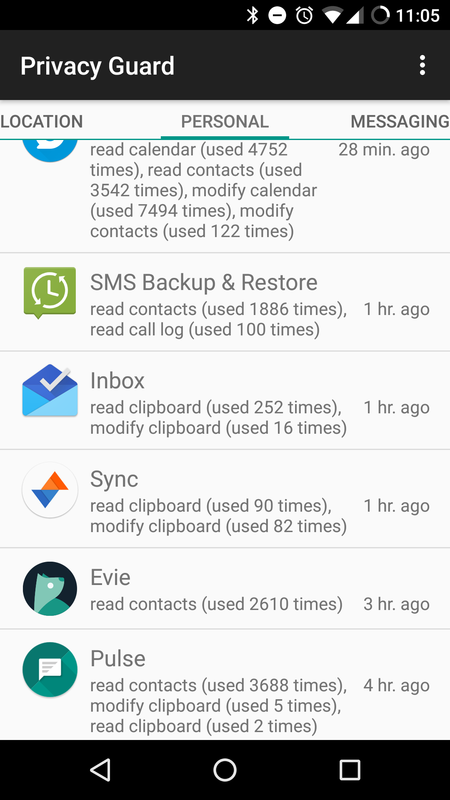 You can also see which apps used specific permissions and how often they requested them, eg, you can see which apps are using your location and how often, or which apps have access to your contacts. It's also quite handy for preventing certain apps (like Pokémon Go) from stealing audio focus so it doesn't pause or lower the volume while listening to music/podcasts. As for whether it's worth switching to a custom ROM, well it depends really. If you're otherwise happy with your stock ROM and aren't comfortable with or don't have the time to mess around with your phone, then I would recommend sticking to the stock ROM, especially since the stock OnePlus ROM is pretty decent. But if you want more from your device - more control, more customisation, better security, better privacy, better performance and battery life - and you're willing to invest the time to learn about all this and play with all the modding options the community has to offer - then it's worth switching. Thanks @dexter for the reply. Yes I was talking about built-in app lock feature to lock apps. I know there are apps from play store but they don't work as reliably as this one. I am ok spending time on installing custom roms but the features really got to be worth the effort. Probably I need to read all those xda threads of the roms you suggested. I'm sure it's on the internet, I haven't actually searched, but is there a way to double tap the recent apps button (Bottom right square) to switch between two apps? Also, I have DnD on, not sure how it turned on but can't seem to find how to turn it off. Also, is it all good to update to 4.1.6? Any bugs I should be aware of? Check Gestures under settings. Yes new version is fine and no known issues. So 4.1.6 does not affect bluetooth audio streaming? Not for me, all worked as before. Btw I connect phone to my car's Bluetooth.